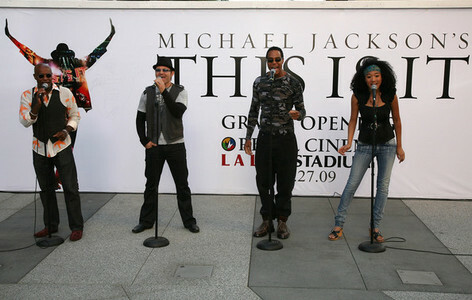 Michael's Backup Singers Who Were Featured In "This Is It" Tour. . Wallpaper and background images in the michael jackson club. This michael jackson photo might contain farda, regimentais, uniforme, uniforme de gala, uniforme de vestido completo, azuis vestido, uniforme branco, blues vestido, branco vestido, blues de vestido, and vestido branco.